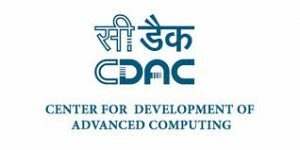 Project Officer Vacancy – Last Date 15 February 2019 (Hyderabad, Telangana), Centre for Development of Advanced Computing (C-DAC) recruits Project Officer Posts. Candidates with M.Sc. experienced can apply. Project Officer (e-Learning) - M.Sc. In case of any ambiguity/dispute arises on account of interpretation in version other than English, English version will prevail. Canvassing in any form will be a disqualification for selection. Written test/ Interview Call Letters, other correspondences (if any) etc. will be send to candidates through email at the email id provided in their application form. No hard copy will be sent. Mere issue of Interview call letter will not imply acceptance of candidature or selection for the post. In case of internal candidates, please note that the finally selected candidates will have to resign from the services and join the post as fresh employees. All queries pertaining to recruitment including selection process should be addressed to our Recruitment Team only through hrd-hyd@cdac.in. Kindly note that we have not authorized any agent/ agency for representing C-DAC for anything related to recruitment or its processes. Number of vacancies may increase/decrease based on the final assessment and such changes will be made by C-DAC without any notice. If a candidate is not found suitable for the position applied for he may be considered for lower position on receipt of willingness of the candidate. C-DAC reserves the right to cancel or introduce any examination/Personal Interview/Other selection process. C-DAC also reserves the right to cancel/restrict/curtail/enlarge the recruitment process and/or the selection process without any notice and without assigning any reasons. All the posts will be filled as per the Recruitment Rules of C-DAC. It is the responsibility of the candidates to assess his/her own eligibility for the post for which he/she is applying in accordance with the advertisement. In case, it is found at any point of time in future during process of selection or even after appointment that candidate was not eligible as per prescribed qualification, experience etc, which could not be found at the time of selection due to whatever circumstances, his/her candidature/appointment shall be liable to be cancelled/terminated as case may be. Choosing a particular department /project does not entitle the candidate to be appointed in the same department itself. If selected, management reserves the right to post the candidate in any department. All positions are transferable on all India basis. No TA /DA will be provided for attending the written test / interview. Centre for Development of Advanced Computing (C-DAC) is the premier R&D organization of the Department of Electronics and Information Technology (DeitY), Ministry of Communications & Information Technology (MCIT) for carrying out R&D in IT, Electronics and associated areas. Different areas of C-DAC, had originated at different times, many of which came out as a result of identification of opportunities. The setting up of C-DAC in 1988 itself was to built Supercomputers in context of denial of import of Supercomputers by USA. Since then C-DAC has been undertaking building of multiple generations of Supercomputer starting from PARAM with 1 GF in 1988.